We have always been runners, my family. As early as I can remember, we’ve run. 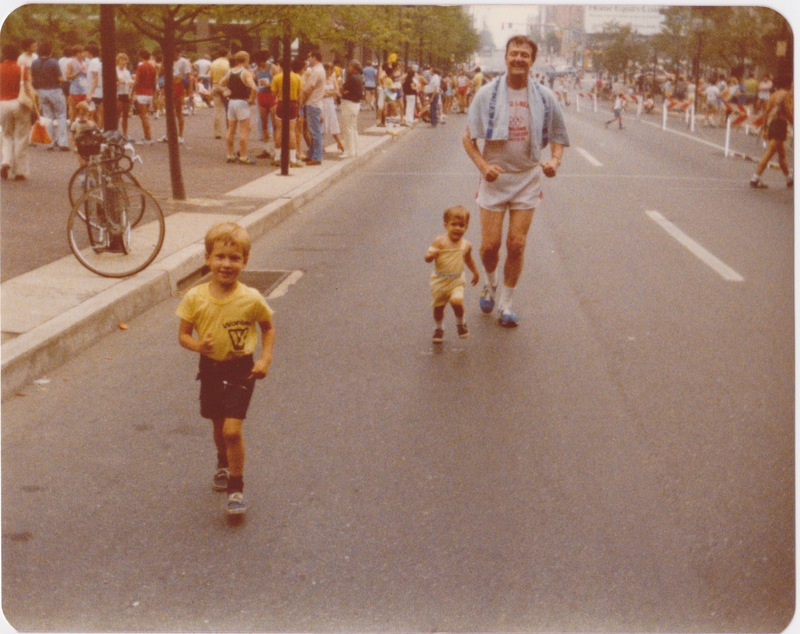 And from the beginning, I, Peter Robert, have always run with Robert Sr., my Grandfather. My first Red Rose Run at 2 with my Grandfather and brother. Robert Jr., my Dad, was up before any of us to run in the rain, in the snow, in the dark. We all ran the Red Rose Run, the annual 5-miler through downtown Lancaster. I ran my first in 3rd Grade. My Dad would also run a 7 mile race but I never ran that. It seemed too far. I always knew it wasn’t that far, though, because I knew that my Grandfather had run a half-marathon. This always impressed me. Someday maybe I’d run one, too. That was it, though, my abstract goal, because we weren’t racers; we were runners. What was abstract became real a few years ago when my Mom died from Cancer. That’s when I understood why we Wohlsens run. We run because we have to. I ran my first race in New York City in 2010 – the Brooklyn Half Marathon. The whole time I was running, I knew I could make it because I knew Robert, my Grandfather, had done it – and he was with me. 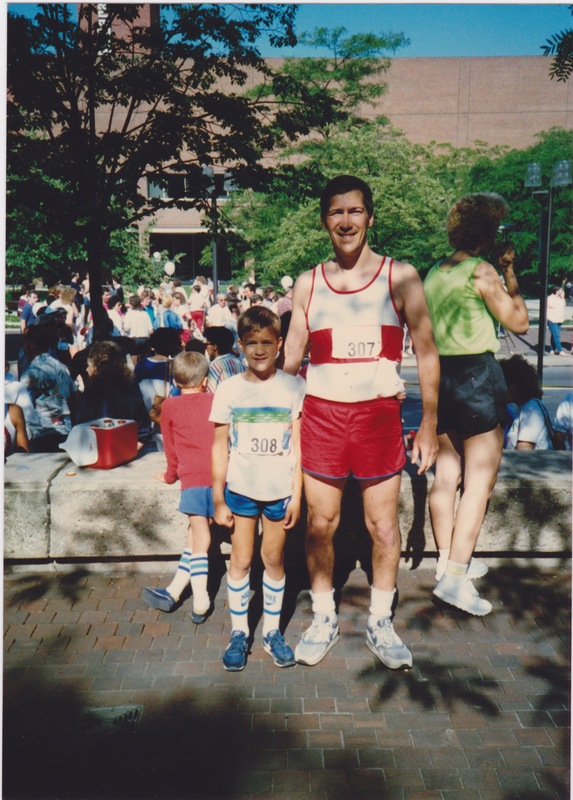 In the Fall, I did what no Wohlsen had done – I ran a marathon. I had never wanted to run a marathon before. After my Mom died and after being hit by a car, I had many reasons to run. This year my Grandfather was diagnosed with Pancreatic Cancer. I thought I’d retired from marathons. Now I need to run again. I’m running the 2014 New York City Marathon with my Robert, my Grandfather. We are running together as we always have. He is running with me. Please help me to run with him. Run with me.